LM002. 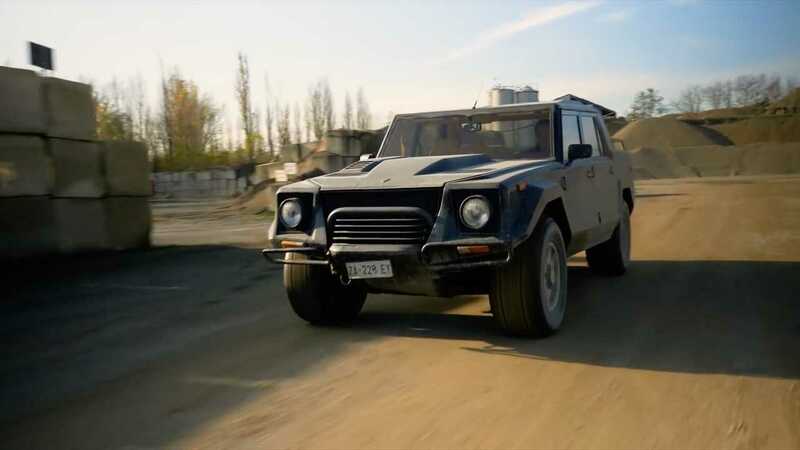 Initially designed as a military vehicle, the LM002 was built to be driven on the battlefield. However, when no military regimes stepped up to buy one, Lamborghini made some modifications and sold it to the public in 1986. Even though it looks like a mechanical armored rhino on wheels, there’s a real party piece sitting under the hood. Open it up and the 5.2-liter V12 taken straight from the Countach shows off all its glory. Even with 444 horsepower on tap, however, the nearly three-ton curb weight makes it a little difficult to move the LM002 quickly. At full chat, the LM will take about eight seconds to get to 60 mph from a standstill. With the V12 and all that weight to haul around, it’s not a surprise that the LM averages around 8 mpg. Fitted with a 76.6 gallon (290-liter) fuel tank, you can imagine how expense each trip to the gas station would cost. What’s the LM002 like to drive? Well, it’s as cumbersome as you can imagine, much like how the video describes it. The steering is resembles the feel of a bus and the clutch pedal requires actual force from your left leg. As clumsy as the LM is, it doesn’t stop the video team from taking theRambo Lambo into the mud for some proper hoonage. The LM002 may be over 30-yearsold, but used ones are still up in the $250,000 range, much like the new Urus. Which super-SUV would you choose to go with?